Photography is the process of painting / writing by using the medium of light. 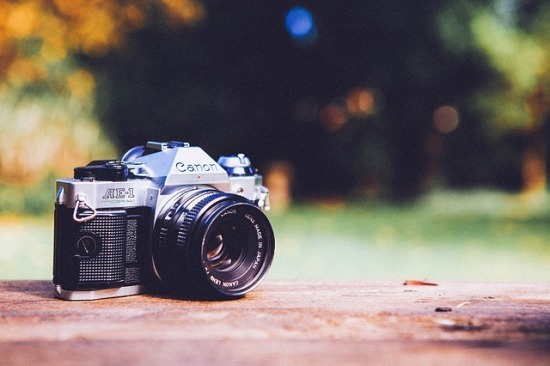 As a generic term, photography means a process or method for generating an image or photograph of an object by recording the reflection of light on the objects on light sensitive media. The most popular tool for capturing this light is the camera. Without light, there are no images that can be made. Principle photography is to help focus light refraction so as to burn medium light catcher. A medium that has been burned to the size laminates right light will produce identical shade with light entering the medium refraction (hereinafter referred to as the lens). To generate the appropriate light intensity to produce an image, use the help of a measuring instrument in the form of light meter. Having got the size right lighting, a photographer can adjust the light intensity by changing the combination of ISO/ASA (ISO Speed), diaphragm (aperture), and shutter speed (speed). The combination of ISO, Diaphragm Speed referred to as the exposure. In the era of digital photography in which the film is not used, then the speed of the film, which was originally used devolved into Digital camera ISO. 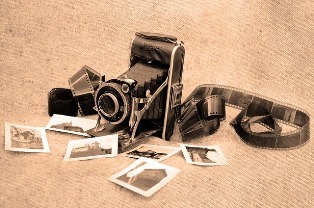 History of photography began long before AD. In the 5th century BC, there was a person named Mo Ti, managed to find symptoms of photography. Symptoms of photography that looked at that time was when there were holes in a dark room that emitted light, then the light source image would be seen in the wall of a room in reverse. Several centuries later, many people were aware of and admired this phenomenon, some of which were Aristotle in the 3rd century BC and an Arab scientist Ibn Al Haitam (Al Hazen) in the 10th century BC, and then attempted to create and development tools, now known as the camera. In 1558, an Italian scientist, Giambattistadella Porta called "camera Obscura" in a box that helped the painters capturing the shadow image. The first photograph was made in 1826 for 8 hours. In 1837 Louis-Jacques Mandé Daquerre was crowned as the world father of photography. Camera Obscura was the first camera used to photograph. In 1888 in the United Kodak (Kodak Eastman) was first patented. In 1900 a draftsman has created Mammoth camera. The camera was very large in size, which weighs 1,400 pounds. Lens was weighing 500 pounds. When changing or moving, it required human labor as many as 15 people. History of photography began officially recording in the 19th century. In 1839, it was announced as early years of photography. In that year, France declared officially that photography was a technological breakthrough. At that time, recording two-dimensional as the eye could be made permanent. On January 1839, the inventor of photography by using a chemical process on a metal plate, Louis Jacques Mande Daguerre, actually wanted to patent it. However, the French Government, by based on a variety of political thought, thinking that the findings should be shared around the world for free. Thus, while the original manual Daguerre and then spread throughout the world, despite a half-hearted received due to the complexity of work to be done. Photography then developed very quickly. According Szarkowski in Hartayo (2004: 22), the main architect of modern photography is an entrepreneur, namely George Eastman. Through his company named Eastman Kodak, George Eastman developed the photography to create and sell a roll of film and the camera box that is practical, in line with developments in the world of photography through the lens repair, shutter, film and photo paper. In 1950, it was beginning to use a prism to facilitate shooting in camera Single Lens Reflex (SLR), and in the same year Japan began to enter the world of photography with the NIKON camera production. In 1972, it was beginning to be marketed Polaroid camera invented by Edwin Land. Polaroid cameras could produce images without going through the process of developing and printing the film. The new history in the field of photography was namely the use of recording media instead of metal or glass plates, preceded by the invention of George Eastman Kodak in 1884, which was the first film. Since that time the photographic industry has begun to grow rapidly.